Gifts for young artists can serve as a stepping stone to a more successful life. Children are sponges for all types of information. Studies show that kids who have an artistic outlet are less likely to get in trouble. Why? Because they’re doing something productive and fun. Get them on the right track of developing their artistic talent by giving them a head start. Here are 10 gift ideas that will jumpstart their imaginations. 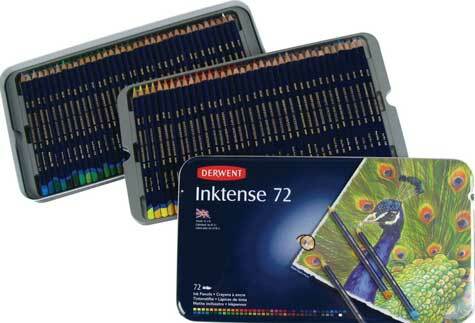 This inspirational set of art supplies for kids will keep your budding artists occupied for hours. Organized in an attractive carrying case, its contents was designed to fuel the imagination. Two flip locks secure the case shut while the metal handle makes it portable. Don’t let the kids get bored on car trips or sitting on a plane for hours. Keep them drawing, coloring, and creating. 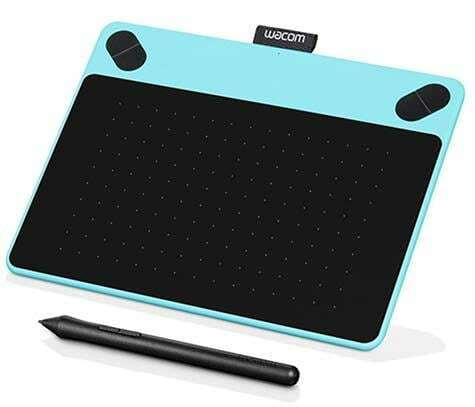 With over 140 pieces including markers, crayons, colored pencils, and drawing paper, this portable drawing kit could be one of the best art gifts for kids you’ll find. Moms love storage caddys. They’re strong, durable, and easy to shelve. 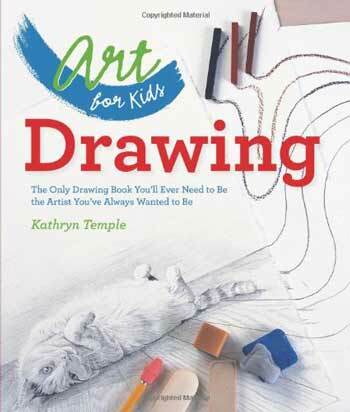 This one holds over 120 tools that will fascinate your young artist. Crayons, colored pencils, construction paper, washable paints, scissors, brushes, and a glue stick were made to inspire creative minds. Encourage them to use these various art supplies for kids to color, draw, cut, and glue new creations that earn a spot on the fridge. The plastic tote prevents paint spills and accidental ink leaks. Snap the top shut and don’t worry about little fingers prying it open. Who needs crayons when you have a wooden stylus and scratch boards? Each board contains pre-drawn patterns covered with a matte coating. Use one of the two styluses to scratch through the matte to reveal the hidden art work. Various styles consist of multicolor, light catcher, silver holographic, and white-coated multicolor patterns. No messy ink or broken pencil lead. Just a safe wooden stylus and a surprise hidden on every sheet. 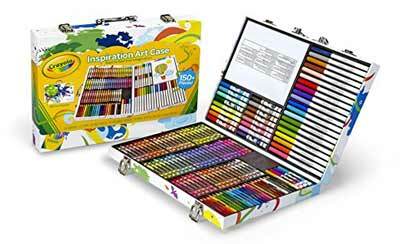 This could be one of the most wonderful art gifts for kids who aren’t skilled at drawing but still enjoy creating art. Use the easels or hang strips to show off their hard work. 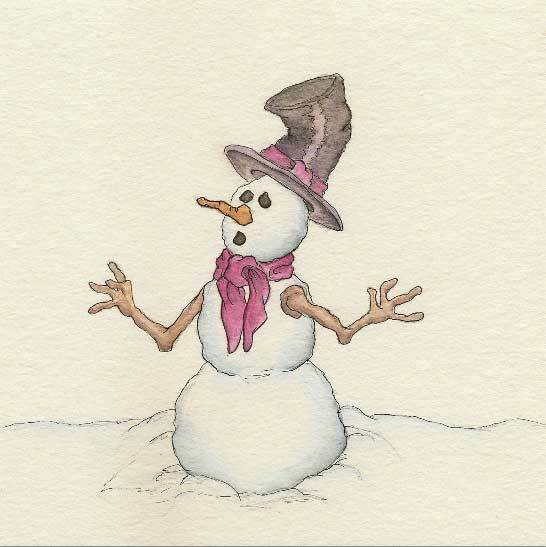 Gifts for young artists should be fun as well as a teaching tool. If they yearn to draw more than stick figures, they may enjoy this instructional drawing book. 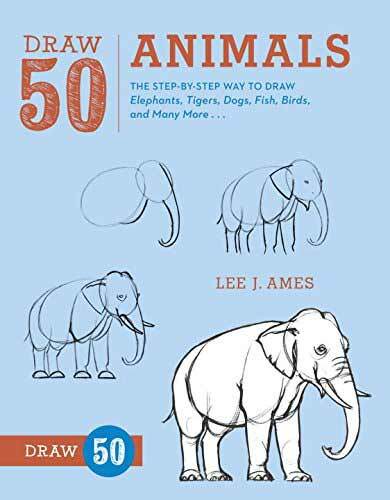 Step-by-step instructions show how to master the technical difficulties of drawing 50 different animals. Using basic shapes of circles, rectangles, and triangles, your child will learn how to build on each step to produce a realistic animal drawing. 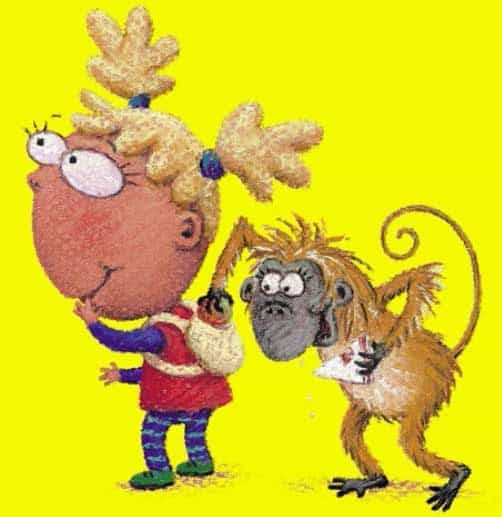 Squirrels, frogs, elephants, birds, and creepy crawlies are taught in an easy-to-understand methodology. Eight chapters of how to view the world through the eyes of an artist helps to teach the technicalities of drawing. Lines, light and shadow, drawing faces or bodies, and learning proportion and scale are covered in a way children can understand. Drawing exercises follow each described technique so they can practice each chapter. A solid basis for the beginner, this is one of the most important gifts for young artists to include in their learning library. Suitable for children in grades 4-8, it helps to build confidence through understanding as well as practice. As gifts for young artist at a beginner level, this 18-piece set provides all the tools they’ll need to start their pencil creations. Graphite pencils, charcoal pencils, erasers, sharpeners, and sketch sticks are at the ready to produce a quick sketch or a detailed portrait. 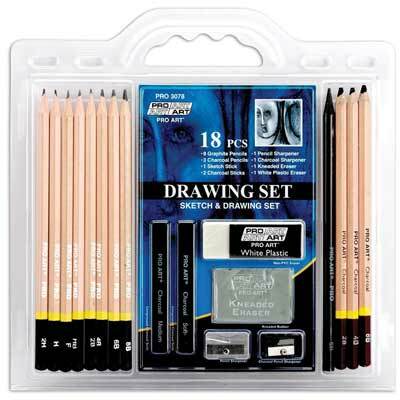 This set is fantastic for all types of pencil, graphite, or charcoal sketches. Being eco-friendly, none of the pencils contain rain forest wood. 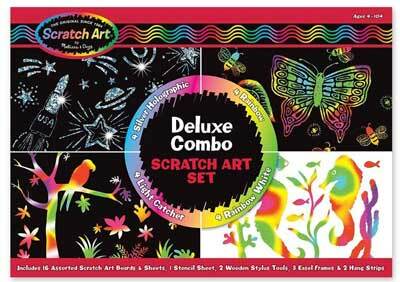 If your child wants to do more than doodle, this makes one of the finest art gifts for kids who truly love drawing. The quickest way to encourage kids to draw on the walls or kitchen cabinets is to run out of paper. Keep their artwork right where it should be with this 3-pack of 60-pound drawing paper. 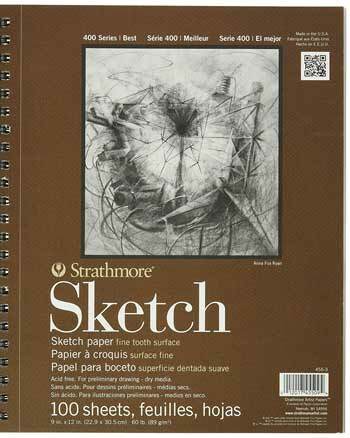 The pages are lightly textured, making it an all-purpose drawing pad. The 9×12” spiral-bound paper is acid-free and designed to be used with dry media (no paints or watercolors). Each page is perforated. No cutting or messy edges. When your child completes a sketch, tear it out and frame it. Slip the pad in your suitcase and take it on family vacations or long car rides. Sketchpads are the best art gifts for kids who enjoy drawing so Mom and Dad can drive in peace. So, your kids are ready to graduate beyond crayons, but they’re still too young for acrylics. 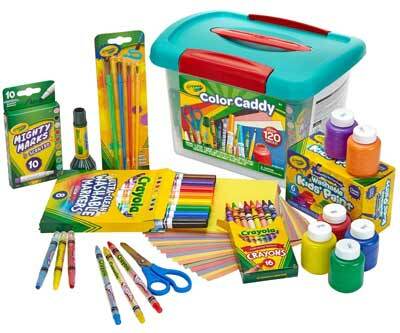 Try this gift set of art supplies for kids who want to go to the next level. They’ll never stop creating when they open this 64-piece set. Colored, watercolor, and graphite eco pencils (made from reforested wood) are just the beginning. Oil pastels and washable markers will enthrall your young artists. Complete their home art studio with brushes, paper, and an illustration booklet. Coloring, painting, drawing, shading, and blending colors are all at their tiny fingertips. All of this is wrapped up in a beautiful wooden carrying case. You’re never too young to start painting, this set of art supplies for kids ages 5 years and up is a fantastic way to introduce these young ones to the world of painting. Various colors of bottled paint, brushes, paper, and a palette come neatly packed in a zipped carrying case. Let them experiment with line thickness and color mixing. A mixing chart, tips, and technique booklet helps Mom and Dad get things started. And if brush painting suddenly turns into finger painting, don’t worry. All the paint is washable and non-toxic. This just may be one of the best art gifts for kids of this age range to get their feet – or fingers – wet. 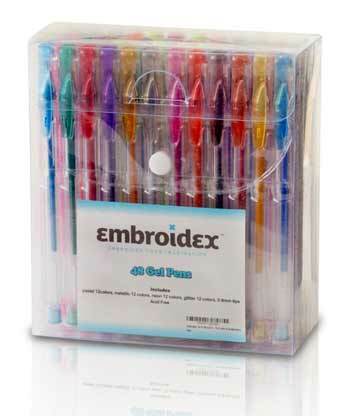 Can kids ever get enough gel pens? The beautiful ink, smooth gliding tips, vibrancy, and variety of metallic and glitter choices are irresistible. That’s what makes this one of the absolute perfect gifts for young artists. 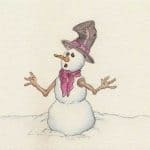 Kids can color, draw, or sketch. Write letters or journal entries. Take notes in class, or add a caption to a page in a scrapbook. The ink is brilliant on either light or dark paper. They don’t bleed or smear, and they dry quickly. 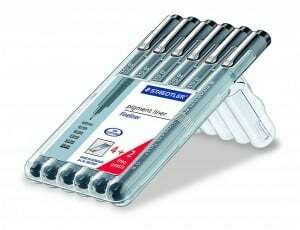 A comfortable grip and a range of fine tips make using them fun and useful. Kids love to make things with their hands. Why not give them an outlet to use their imagination as well as their hands? 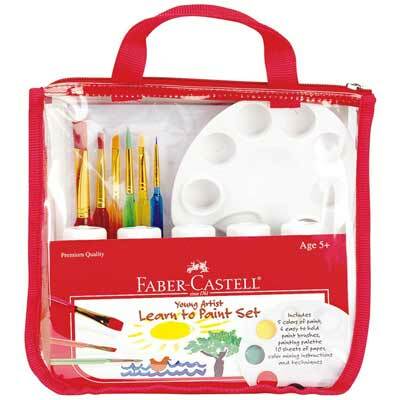 The Faber-Castell Young Artist Learn to Paint Set is a great starter kit to introduce the tiny tots to painting. 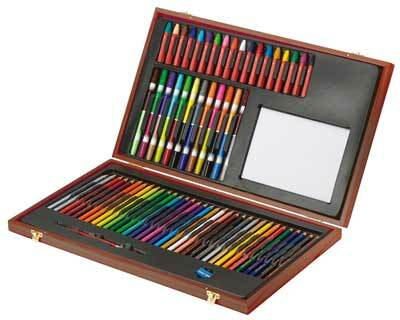 The Faber-Castell – Young Artist Essentials Gift Set would be a nice gift for those a bit older. The 64-piece kit of pencils and paints will keep them occupied for hours. 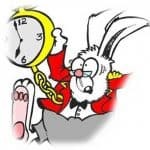 Choosing the right gifts for young artists is a worthwhile investment. They’ll love using it, and you’ll love watching them enjoy it.